Computer Cable Store™ Serial ATA Device Cables provide the performance you expect from your Serial ATA devices. 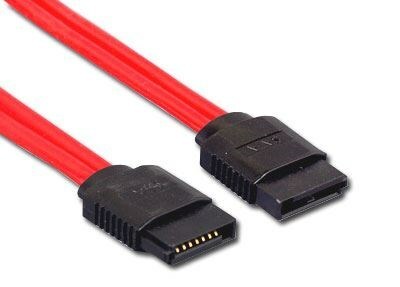 The Computer Cable Store offers a wide selection of Serial ATA cables which reduce the amount of space needed while increasing airflow and still providing maximum data transfer rates. Our Serial ATA Device cables provide increased throughput and reduce data packet loss. Our Serial ATA 7 pin device cables reduce crosstalk and improved signal integrity to increase through put. Plus our Serial ATA Devices cables help reduces heat related problems while conserving internal space insides the computers case.